All the files are labeled pretty descriptively, so you can get rid of whatever you don't want. 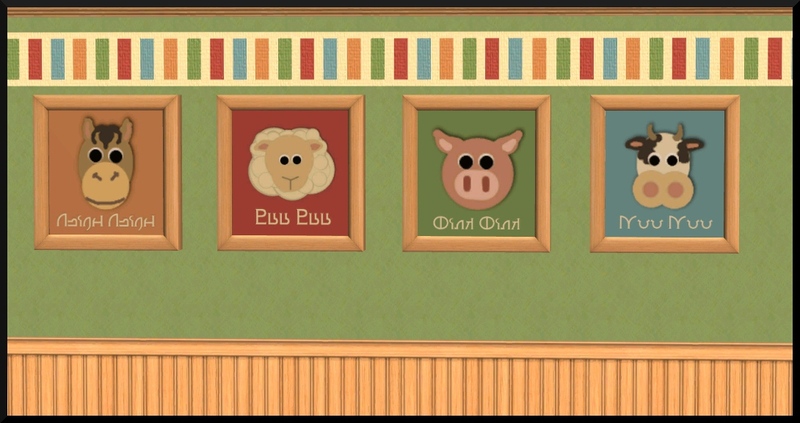 The painting is from FT (the sheep one). 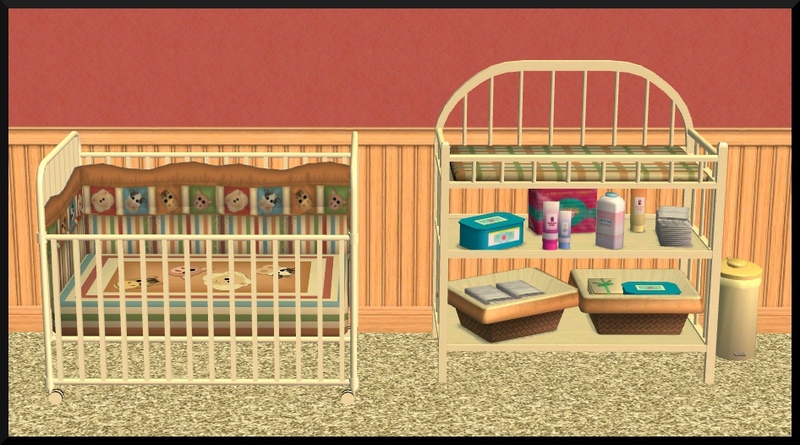 The file includes English and Simlish versions of the paintings, the bedding, a second bedding (the plain plaid) which I made specifically to use for the changing table of Honeywell's Haffa Crib but you can use it for whatever you want, a recolor of the BG changing table, recolors of the FT and BG potty, high chair and toy box, and 4 walls. 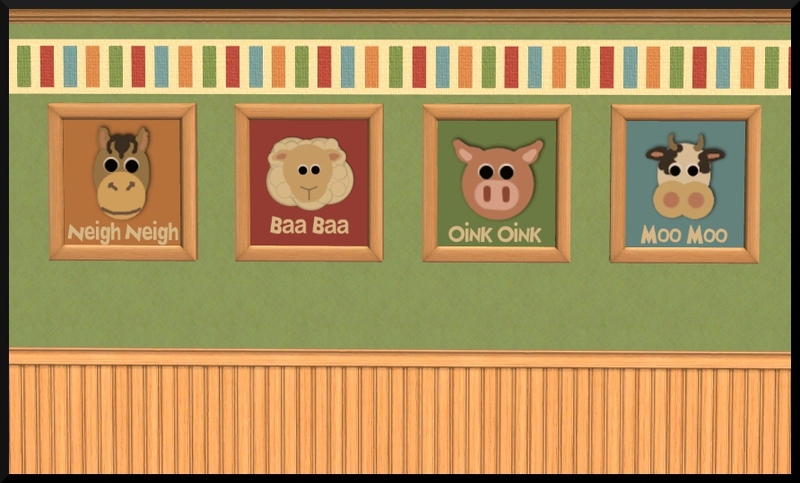 Awww, it's so sweet! 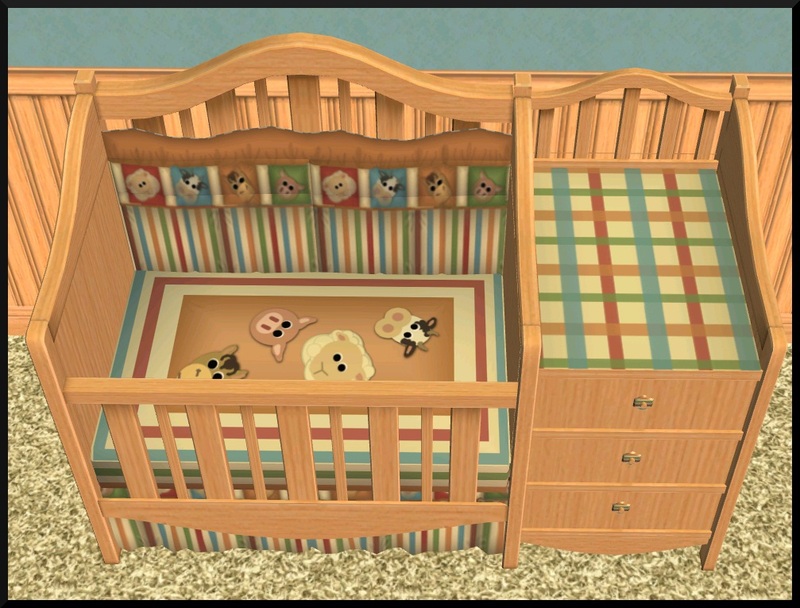 And good idea making a plaid recolour specially for the haffa changing table. 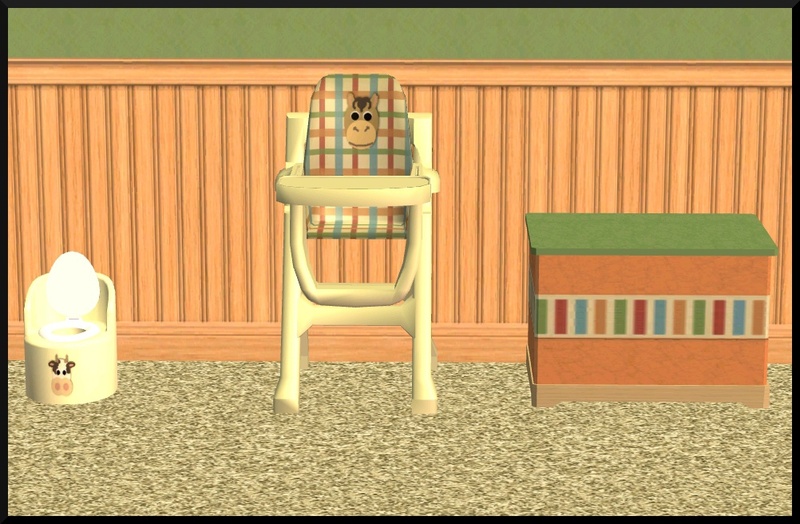 I just so happened to be building a sim nursery last night with that very set (even used the same carpet as you and that FT sheep painting) - and your all-plaid recolour looks better than using the exact same texture as the crib (at least when the crib bedding has a big pattern on it like this one and the one I happened to use last night).